Beer Cheese Fondue Dip is an easy appetizer recipe containing melted cheese combined with a subtle taste of beer to make the perfect holiday appetizer, Super Bowl snack, or game day appetizer dip! 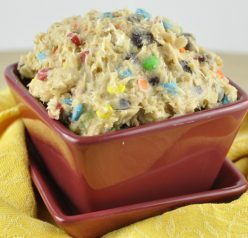 I have a simple party snack for your Super Bowl gatherings that are happening this weekend. As you know, I only really care about the football food on Super Bowl and not so much the game. Sorry, football fans! I just never got into the sport much. As for me, I am counting down the days ’til baseball Spring training begins. It’s coming so quickly! Let’s talk about this Beer Cheese Fondue Dip, shall we? This beer cheese fondue dip will be a great crowd-pleaser for any party or potluck. I’m not too proud to say that I ate most of this without much help from anybody else and I didn’t feel so hot afterwards. So, my only advice to you will be to make sure you share some with friends or family! If you’re looking for something with a little texture, this toasted almond cheese dip is awesome! 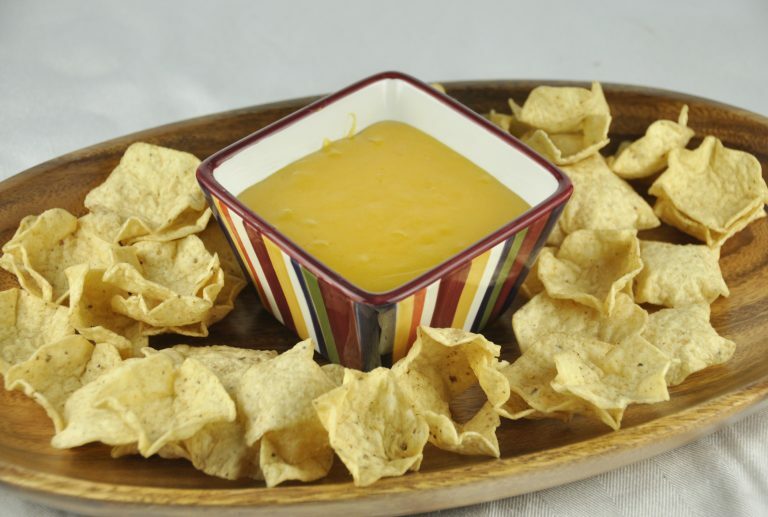 This dip can be made with any type of beer, including nonalcoholic beer. If you don’t like a strong beer flavor I would choose a light beer or an ice brew. But either way, the taste isn’t overpowering and I honestly hardly even tasted it, but would miss it if it wasn’t there (if that even makes sense). 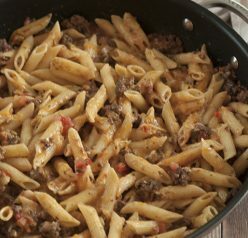 You can even tweak the cheese in this recipe and use Swiss, Monterey Jack, or mix two different kinds together. If you make this for a party, don’t skip out on the Chili Cheese Dog Wreath Dip which is a total show-stopper! Can you tell I love my cheese dips? 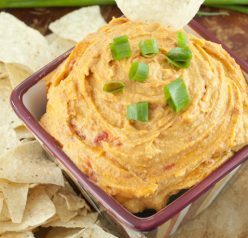 I also can’t wait to try this Pimento Cheese Dip from my friend Leigh Anne. Serve with toasted bread cubes, vegetables (broccoli or cauliflower), soft pretzel bites, tortilla chips….whatever you have on hand! 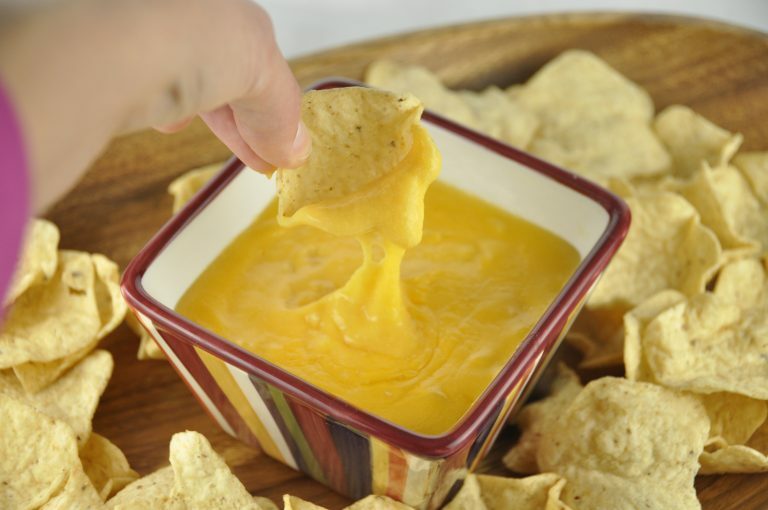 Beer Cheese Fondue Dip recipe is melted cheese combined with a subtle taste of beer to make the perfect Super Bowl or game day appetizer dip! In a small saucepan, melt the butter and saute onion in butter until tender. Add garlic; cook 1 minute longer. Stir in beer. Bring to a boil and then reduce heat to medium-low. Toss cheese with flour and pepper; stir into saucepan until completely melted. Stir in 3-4 tablespoons cream. Transfer to a small fondue pot or 1-1/2 or 2 qt. slow cooker. Keep warm for best results; add additional cream or more beer if fondue thickens too much. Serve with toasted bread cubes, chips, pretzels, or other dipper of choice. PERFECT game day food! I’m with you… food beats football every time. 🙂 Gives me something to do while the hubs is glued to the TV! Hi, Mona – I think chicken or vegetable broth would be a good substitute! I have never tried it that way, but I don’t see why it wouldn’t work 🙂 Thanks for commenting!